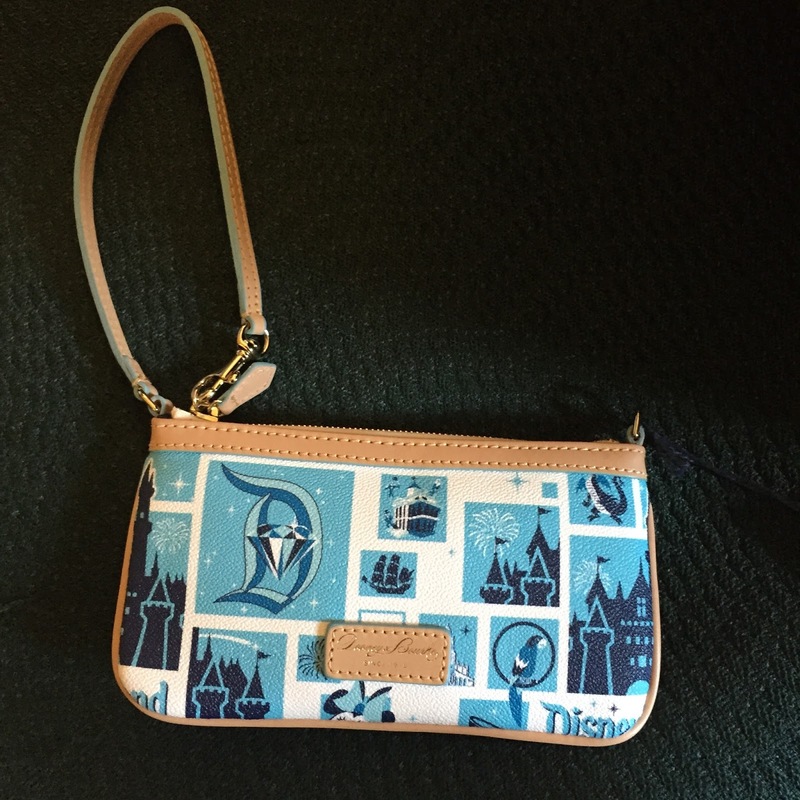 I love Disneyland and I love handbags, so there is nothing better than a great Disneyland handbag - well almost. Harveys Seatbelt company has introduced bags with graphics from the original Disneyland ride posters in honor of the Disneyland Diamond Celebration. These are the posters that you see when you walk through the tunnel under the train station to get into Disneyland. 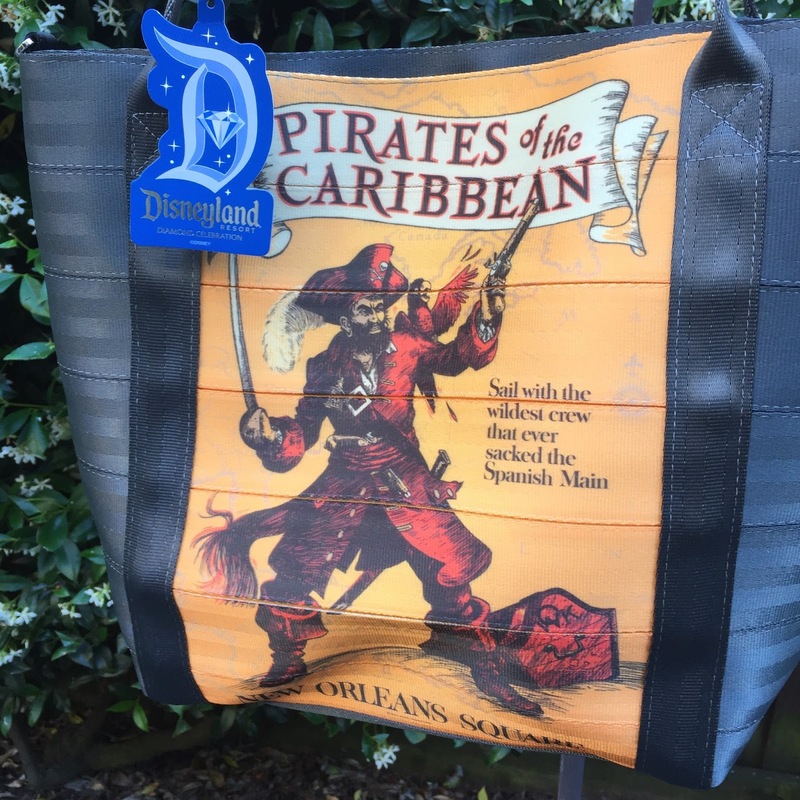 Five rides are celebrated on five different totes available in the park - Haunted Mansion, Pirates of the Caribbean, Dumbo, Peter Pan's Flight and The Enchanted Tiki Room. All five are great, although I would have loved an Alice in Wonderland or a Matterhorn (Hello, Harveys?). They also have two wallet styles and a smaller bag that have a montage of many of the posters on them. The great thing about Harveys bag is that they are pretty indestructible. They used to be too heavy for me to carry, but the company has gone to great pains to make them lighter. 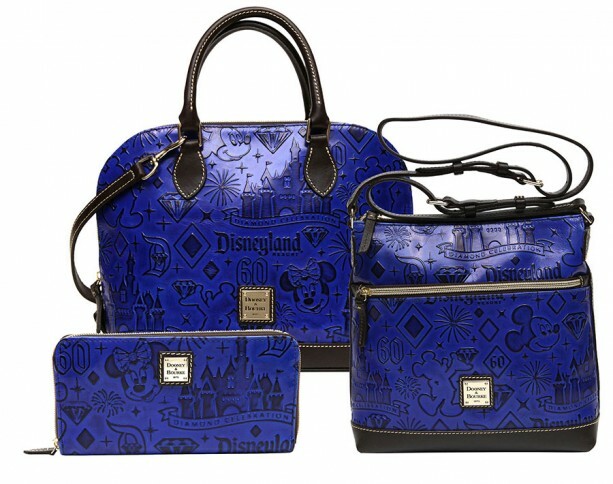 Not to be outdone, Dooney & Bourke has also issued two patterns to celebrate the Disneyland 60th. 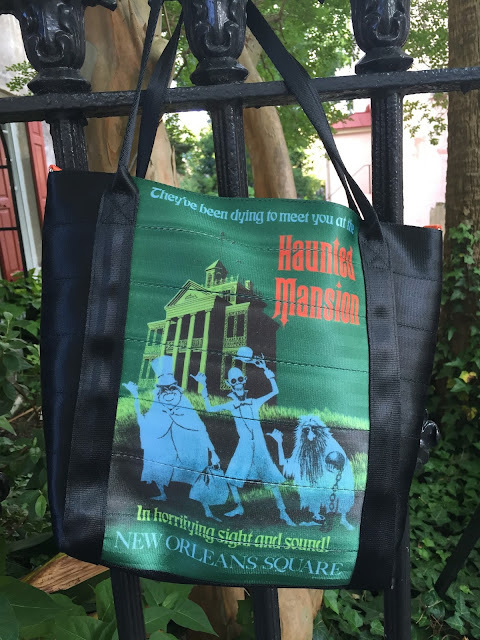 The first is blue and white and it comes in wristlet, letter carrier, satchel and big tote. The second is just blue and comes in satchel, letter carrier and wallet. 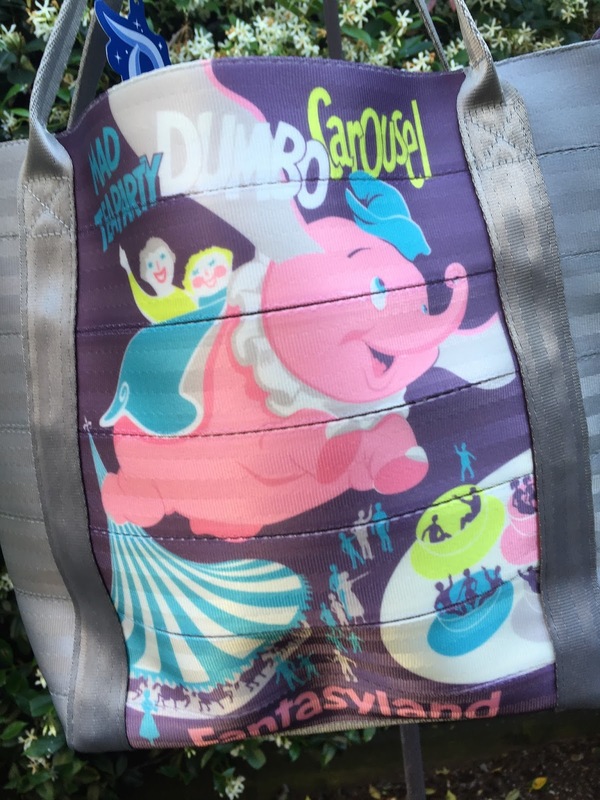 You can get the price details for all of the Diamond Celebration Dooneys here. All of these styles are available at Disneyland as I write this in August 2015. If you're looking for information about Disneyland Haunted Mansion Dooney & Bourkes, you can find that here.